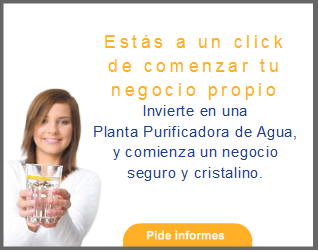 Purificacion del agua: The news of the Spanish media do not help the growth of Tuenti. The news of the Spanish media do not help the growth of Tuenti. Without malice (that sure), can that own media (television, press, newspapers, etc...) are acting in a subliminal manner in the subconscious of the Spaniards when Choosing a social network, harming our national product and to benefit the growth of Facebook. If we are aware, each time that we talk about social networks on television, is to say that a girl has been threatened through the social network Tuenti, another has been harassed on Tuenti, have blackmailed a minor Tuenti, 15% of tuenti profiles may be persons who are not who they claim to be, etc... as if there was no fake profiles in Facebook and not give these problems to major scale to be a social network with more users. Sometimes they forget, that within the millions of people who use social networks in Spain, there are people with little knowledge of the matter, so hearing these news, could subconsciously come to think of Tuenti is a less secure than Facebook social networkwhich is the largest social network in the world (and therefore the best). I subscribe to the feed of the news about Facebook and Tuenti, and believe me if I tell you that every time I hear about Tuenti is to say that something bad has happened and with the Facebook is to indicate some positive change, by what I've sometimes thought: "are all fools on Tuenti?". I repeat again, I am quite sure that this is done without any malice towards the network Tuenti, but sometimes even without malicious intent we break something and then we fix it.